offering residents a 16.6 percent chance of surviving lung cancer. In terms of making better financial decisions, I guess this data could say South Carolina is a good state for smokers to live in because cigarettes are cheap here and smoking is tolerated in most places. It could indicate this is a good state in which to set up a pulmonary medical practice, since there are lots of potential patients. But for employers concerned about productivity, this survey confirms what American Lung Association statistics say about the real cost of smoking in South Carolina: The annual cost of smoking to the state in direct healthcare expenditures is $1.6 billion, more than $1 billion in workplace productivity losses and $2.3 billion for premature deaths, for a total cost to the state’s economy of nearly $5 billion per year. Lung cancer accounts for about a third of all cancer deaths, killing more people than breast cancer, colon cancer and prostate cancer combined, according to the American Cancer Society. In South Carolina, 3,480 cases of lung cancer were diagnosed in 2010 and 2,712 people died from the disease. Those of us who represent victims of medical malpractice are concerned about the potential for misdiagnosis of lung cancer, either by a doctor’s diagnosing it as something else or by overlooking it altogether on X-rays or scans, either of which can lead to a deadly delay in timely treatment. Some studies have shown that as many as 25% of lung cancers are missed by radiologists when first looking at X-rays. 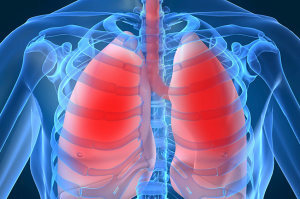 Sometimes lung cancer is misdiagnosed as tuberculosis or a fungal infection. Another error is to note an abnormality but then fail to track it or to do further diagnostic testing. It is also possible for a pathologist to misread a biopsy sample by identifying the wrong cancer type or stage of progression. About 230,000 new cases of lung cancer are diagnosed annually in the United States. The percentage of people who survive at least one year after lung cancer is detected is 43% and the five-year survival rate is 17%. But the sooner it is detected and appropriate treatment begun, the better the odds for the patient. The United States Preventive Services Task Force recommends that people age 55 to 80 who have smoked a pack a day for 30 years or more, or 2 packs a day for 15 years, or who have quit within the past 15 years should receive screening for lung cancer with low-dose CT scans every year. That screening should be done until the person has not smoked for 15 years or develops a health problem that would shorten their life or prevent them from being able to have surgery for lung cancer. If you’re a long-time smoker, has your physician been following these guidelines? According to the American College of Chest Physicians (ACCP) and the American Society of Clinical Oncology (ASCO), ”If you are considering lung cancer screening, it’s important that it is done at a cancer center that can provide the complete support and resources needed for the screening, as well as evaluating the images, managing the results, and diagnosing and treating cancer.” This should be troubling for South Carolinians, since our state ranked 46 for top-rated cancer hospitals. If you are a smoker, the American Cancer Society has lots of information about resources to help you stop. On November 20, join the Great American Smokeout. If you or your loved one has been the victim of a misdiagnosis or medical error which led to a wrong or delayed diagnosis of lung cancer, call the Louthian Law Firm at (803) 454-1200 or go to our website for more information.